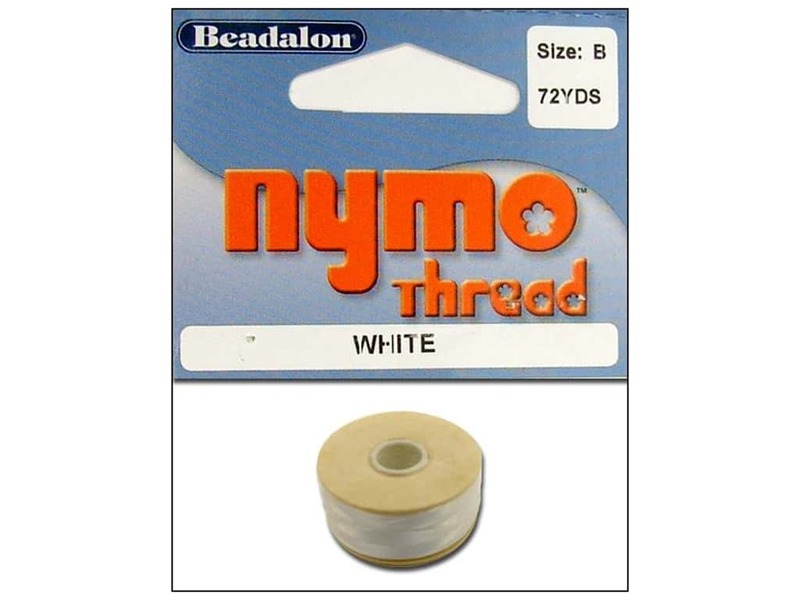 Description: Beadalon Nymo Thread is an excellent choice for stringing Toho Seed beads and other small beads. It's easy to thread and is considered a basic element for a variety of stringing, looming, and stitching needs. Nymo Thread consists of non-twisted fiber filament and is great for stringing craft projects and creating wearable beaded projects. Size B, 0.20 mm (.008 inch). White. 72 yard.